DESCRIPTION Fully renovated 2 storey home in Douglasdale Estates! 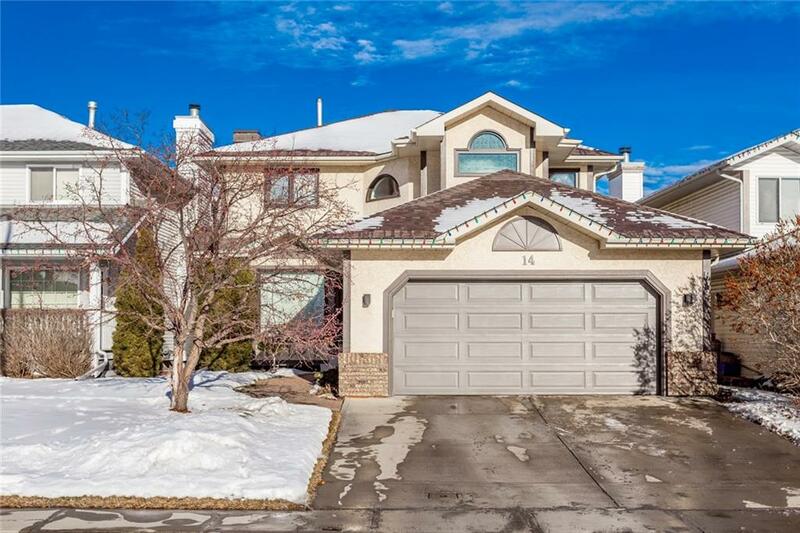 This home has 3 bedrooms up with an extra-large master suite offering a sitting area (used to be 4 bed up) with a gorgeous ensuite bathroom featuring tile flooring, double sinks, and a large tile/glass shower.The main bathroom offers tile, double sinks and a tub/shower combination. The main floor offers modern hardwood throughout with a front den and an open concept with a fabulous kitchen area. Quartz counters, new cabinets, large island, and built in stainless steel appliances make this kitchen a dream for cooking and entertaining.The open concept through the eating area and living room with new modern low profile fireplace combine to create an amazing living space.The lower level is used as a wood working shop and is basically unfinished. Additional insulation, many newer windows, newer shingles and updated plumbing (no poly B to worry about) add to the appeal of this home. If you want a modern feel in an established community...don't miss out on this opportunity!